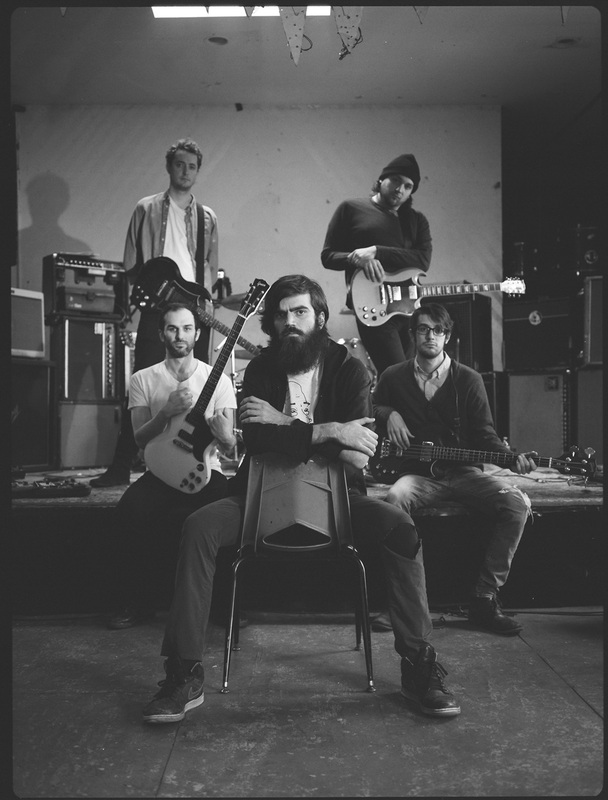 In early September 2013, New Jersey punk band Titus Andronicus played a show at a VFW post in Missoula, Montana. To promote the gig, the group’s quixotic singer-songwriter Patrick Stickles did an interview with local daily newspaper The Missoulian in which he divulged for the first time his plans to write and record a rock opera. For Titus Andronicus, this sort of grandiosity is expected. The band’s prior three albums pair shout-y, relentlessly visceral guitar anthems with big-picture concepts derived from American history, philosophy, and sociopolitical theory. Titus Andronicus’s most celebrated LP, 2010’s The Monitor, draws parallels between the Civil War and Stickles’s own upbringing in suburban Jersey. This is a group with the body of a street-alley brawler and the mind of a college professor. In the interview, Stickles said his rock opera was about a young man, his doppelgänger, and a “superhuman race [that] has this curse upon it.” He mentioned inspirations such as Nietzsche’s The Birth of Tragedy and psychologist Kay Redfield Jamison’s Touched With Fire, a book about manic depression and how it affects artists. He declared that his magnum opus would include about 30 songs and be accompanied by a film. And that it would come out in November 2014. At the time, most of this was just talk. Aside from a new song called “Fatal Flaw” that Titus had performed live, all Stickles had were a few riffs and a lot of vague ideas. But he boldly laid out his ambitious blueprint anyway. As he admitted when reached by phone last week at his apartment in Ridgewood, Queens, Stickles wanted to deliberately put himself in a corner by talking about the album publicly, so there would be no chance of backing out. Stickles’s rock opera, The Most Lamentable Tragedy, didn’t go exactly as initially conceived. Recording began in September, two months before the original release date, and wrapped up in February. Clocking in at 28 songs (plus a 78-second intermission) spread out over 93 minutes, Tragedy took longer to make than Stickles anticipated. Aside from covers of Daniel Johnston’s “I Had Lost My Mind” and the Pogues’ “A Pair of Brown Eyes,” as well as a sloppy rendition of “Auld Lang Syne” — which all make sense in the context of the album — Stickles wrote all of the songs himself. 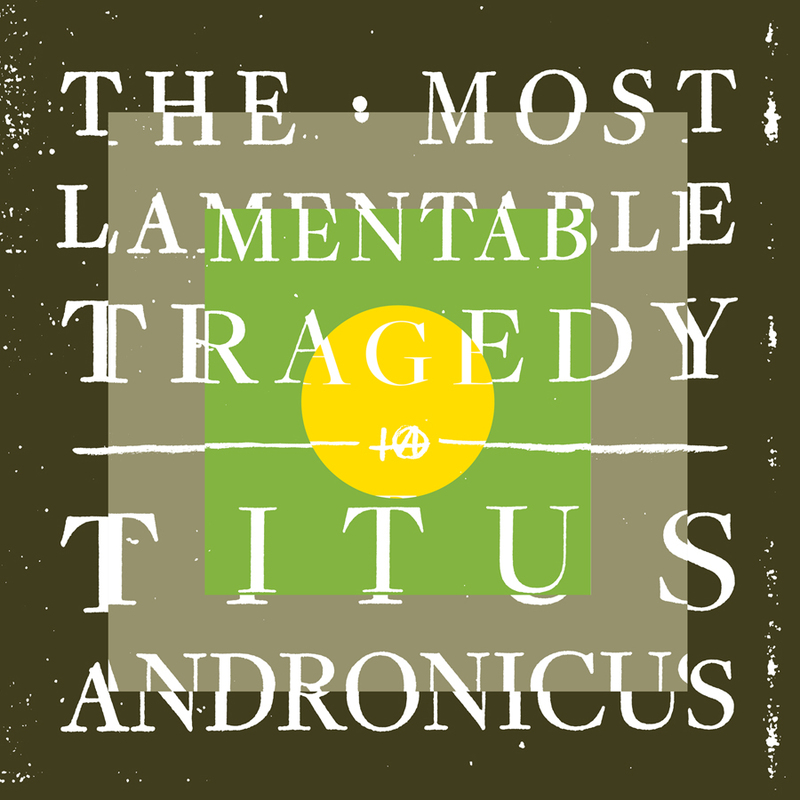 The Most Lamentable Tragedy will now be released July 28, the same date as Stickles’s 30th birthday and the same month as the 10th anniversary of Titus Andronicus’s first show. Fittingly, Tragedy is very much a capstone record, a grand attempt to encapsulate everything this band has ever done well while adding new flourishes, including strings and concise song structures. While Tragedy is the band’s most sprawling album yet, the songs are tight and hooky, coming and going in just three or four minutes, or about half of the time as many tracks on Titus’s previous records. Stickles says this dichotomy is reflective of the album’s exploration of manic depression. Tonally and musically, Tragedy is similarly bipolar, veering between angry, mile-a-minute punk and melodic, reflective dirges. The album’s first single, “Dimed Out,” definitely derives from the album’s more manic side. Stickles acknowledged that punk bands typically don’t make 93-minute rock operas. But he’s never shied away from ideas that others might dismiss as pretentious. It’s a quality that has both endeared Titus Andronicus to those inclined to view it as the latest iteration of the Great American Rock Band, and alienated others turned off by the group’s unwieldy, overstuffed albums. For Stickles, Tragedy is an inherently serious proposition. The album not only sums up his career, it could very well represent the end of it. If this is the end, Titus Andronicus will bow out on a high note — Tragedy rivals The Monitor as the band’s best record. It’s even surprisingly accessible in places, with songs like “Lonely Boy” and “(S)HE SAID/(S)HE SAID” that dabble in power-pop and wild heavy-metal-style soloing. Just in case he does decide to pack it in after this, Stickles planned ahead, inserting various Easter eggs that link the album back to Titus Andronicus’s 2008 debut, The Airing of Grievances. There are two kinds of rock operas — there’s the Who’s Tommy or Pink Floyd’s The Wall, which have relatively easy-to-follow narratives, and there’s Hüsker Dü’s Zen Arcade or Green Day’s American Idiot, where the songs are thematically linked but the story is less clear. The Most Lamentable Tragedy leans toward the latter — the relationship between the protagonist and the doppelgänger is primarily a metaphor for a meditation on the slipperiness of maintaining mental stability. Rest assured, The Most Lamentable Tragedy isn’t really all that “Styx-ish.” The record’s clearest antecedent is Zen Arcade, particularly on harder-edged songs like “Stranded (On My Own)” and “Into the Void (Filler),” where the screaming guitars and Stickles’s vocal histrionics push Tragedy deep into the red. I guessed that the Who’s Quadrophenia was another influence, given the mental illness theme and Tragedy’s five-act structure, which is similar to Quadrophenia’s four-sided narrative. Stickles also favors recurring musical and lyrical motifs, as Pete Townshend did — along with the Johnston cover, Stickles wrote his own song called “I Lost My Mind” as a kind of echo. But while Stickles has done his classic-rock homework, he claimed to have “never really listened to [Quadrophenia] much.” Instead, he points to Lou Reed’s tortured 1973 musical theater piece Berlin as a guidepost for Tragedy’s more orchestrated numbers. The other obvious influence on The Most Lamentable Tragedy is Stickles’s own experience with manic depression, which in the past few years has caused him to act erratically and nearly derail his band, he said. At the same time, it also fueled his creativity, which in essence made his career. This conflict is central to the record. Stickles declined to go into specifics, preferring to maintain the wall between himself and his work. (“It’s self-indulgent enough as it is,” he said.) The Most Lamentable Tragedy isn’t a memoir, but rather a work of fiction, he insisted. The parallels between the album and Stickles’s life can’t be completely set aside, however. When I asked whether he’s come out of his dark period, Stickles’s answer echoed the mix of hope and pain heard on the album. ‘Watch the Thrones’ Podcast: Who Won the Week in ‘Game of Thrones’? And What Is Volantis?